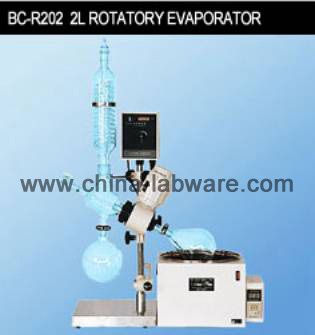 Rotatory Evaporator,Rotatory Evaporators,China Rotatory Evaporator,Rotatory Evaporator Manufacturer,Rotatory Evaporators Exporter - YANCHENG CORDIAL MEDLAB CO.,LTD. All seal parts are made of the advanced materials, which can resist the corrosion by almost all the chemicals. Dynamic seals are ultra-wearable. 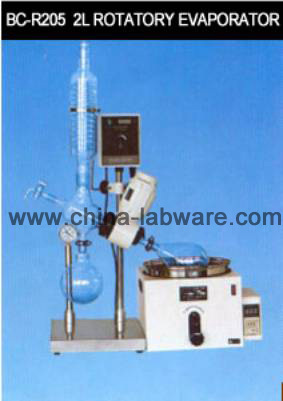 Cooling tubes are enlarged and a variety of rotary bottles ranging from 0.25L to 5L can be employed with high cost effectiveness. Combination with #24 standard mouth rotary bottle is available by means of a transition joint. Quick fastening and removing are realized by means of a bottle fastener. Meanwhile the glass axis can be removed easily. 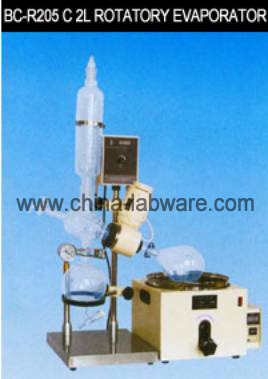 Simple imported temperature controller is used for temperature control. Electronic stepless speed adjustment is applied and the alternating motor is employed with long service life and free from any sparkle. 1.All joints are connected with flanges and composite seal.The main seal material is anti-corrosive and reliable PTFE material. 2.The bottom outlet of the collecting bottle is equipped with PTFE lengthened screwed valve with multiple seals. 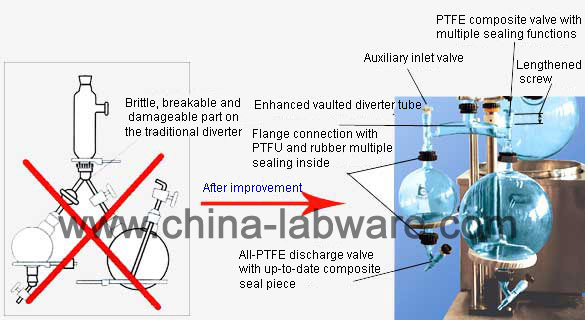 3.New enhanced vaulted diverter, safe and reliable,overcomes the disadvantage on the previous trifurcate structure. 4.The inlet of the collecting bottle is equipped with special composite valve that can freely control the gas and liquid flow with excellent circulating and sealing performance. 5.The standard seal pieces are the up-to-date composite seal ring. 6.The rotary sealing uses special ultra-wearable PTFE, corrosion resistant. Large moth rotary bottle connected with nuts. 10L and 5L rotary bottles are optional. Φ100 mouth is also available. Valves are equipped for water influx and efflux. 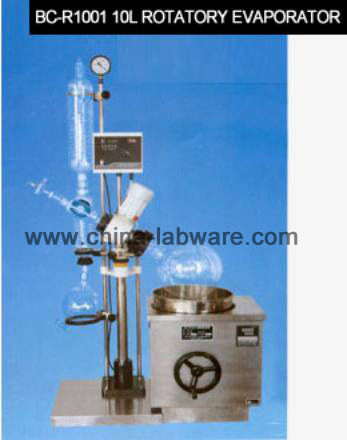 * The volume of the rotary bottle volume is 10L. of the single collecting bottle. &# resistance against various solvents. * Digital display of rotating speed is optional. * Mixed menstruum can be separated for reclaim. High efficient double flux cooler. 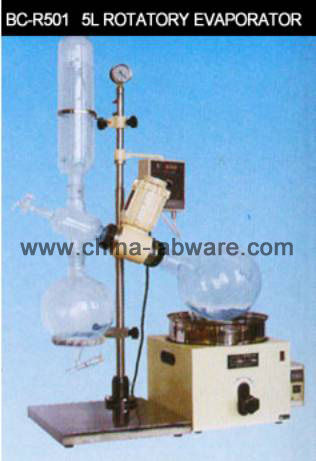 3L collecting bottle, 34# standard mouth with bottle outlet valve. Transition joints is optional for bottles ranging from 0.25L to 2L. Digital display electronic speed adjuster. Mixed menstruum can be separated for reclaim. 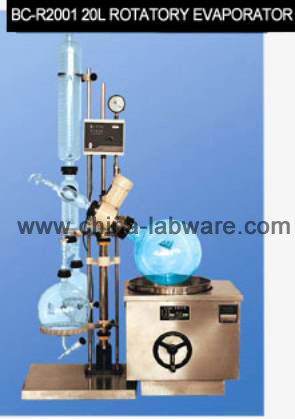 The rotary evaporator can heat at a constant temperature in a minus pressure system. It forms a film through the rotation process and then the condenser reclaims the menstruum. 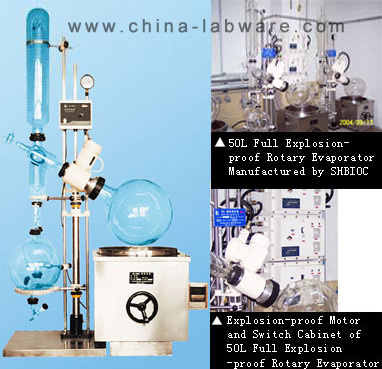 It is especially applicable to the concentration and crystallization of the thermal sensitive materials and the reclaim of the separated menstruum. 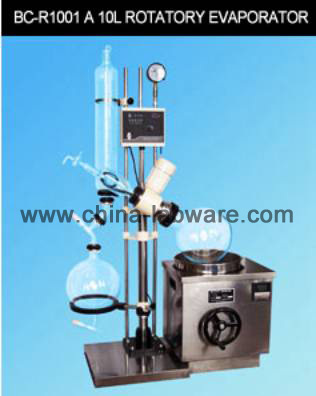 After improvement, it can also be used for the extraction of reclaimed materials. 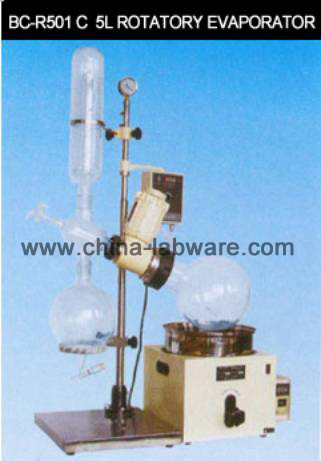 So the rotary evaporator is an ideal instrument for the research and production in various fields, such as science and education, biology, pharmacy, chemical and food industry etc. 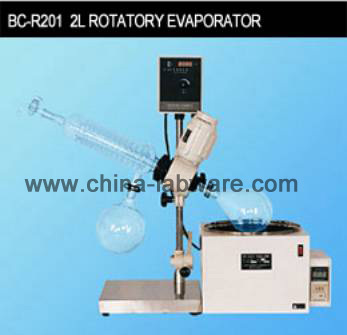 Features of Rotary EvaporatorHigh evaporation rate and reclaim rate, advanced frequency conversion and electronic speed adjusting ensure its electrical performance. without electronic brush and sparkle. easy installation, repair and maintenance. All key seal parts, frequency transducer and electronic parts are imported from abroad.